India has issued a Navigational Area (IMO) warnings for Paradip in the Bay of Bengal for Experimental Flight Trial to take place from Integrated Test Range (ITR) from 0630-1030 for 18th,19th and 20th of this month for a missile which has a range of less than 300km. Last month first four CH-47F Chinooks for the IAF were brought to the Mundra Port in Gujarat which was later assembled in Gujarat before being ferried to Chandigarh where they have started flying familiarization sorties and all four helicopters have successfully completed initial sorties as informed to idrw.org and are ready for official induction into air-force. 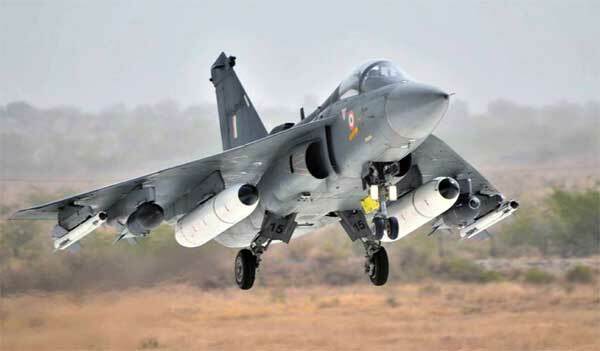 The Light Combat Aircraft (LCA) – Tejas SP-1 (LA-5016 ) completed its maiden flight after taking off from HAL Airport in Bangalore on 12-March-2019 piloted by Gp Capt K K Venugopal (Retd). SP-16 flew for 31 mins and landed back safely. According to information provided by DRDO, Three Small Turbo Fan Engine (STFE) which is also known as Manik turbofan engine generating 4.25kN Thrust are under fabrication which is likely to be used to power in the upcoming trials of India’s sub-sonic Nirbhay cruise missile. 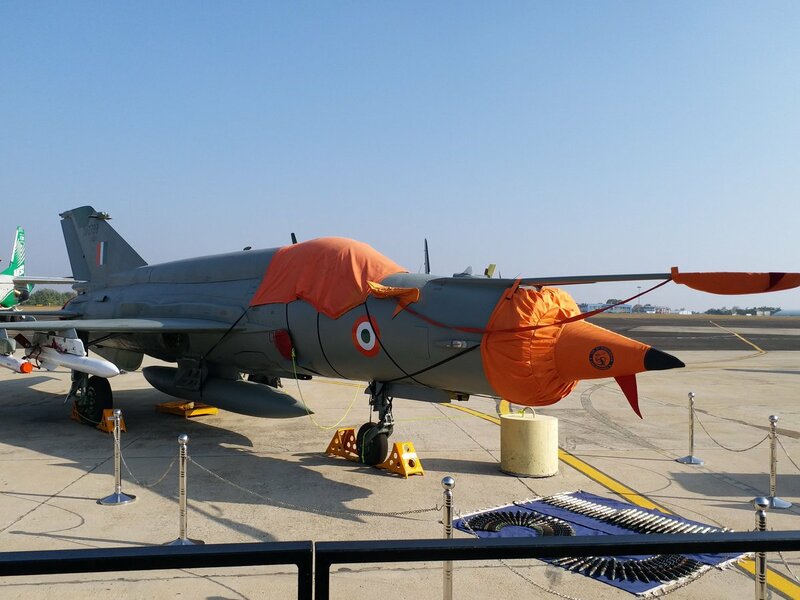 Alone upgraded Mig-21Bis was on Static display at the recently concluded Aero India 2019 which was visited by millions of the Indians, little than many knew that the same exact Mig-21Bis will make History just a few days later when it shot downed first F-16 over Line of control before it was to shot downed in the massive dogfight which took place that day. While Pakistani Military still denies that it has lost an F-16B Twin-seat Variant to an older generation Indian Mig-21Bis fighter jet in yesterdays dogfight over LOC, Senior ranking IAF Officer Air Marshal Raghunath Nambiar in his tweet has named that the pilot killed in F-16B crash was Wing Commander Shahzaz Ud Din of No 19 Squadron which belongs to PAF’s F-16 Squadron. Indian Air Force officials today presented parts of AIM-120 Advanced Medium Range AIM-120 Advanced Medium Range Air-to-Air Missiles (Amraam) that were recovered near J&K’s Rajouri after the aerial engagement between the two air forces. Interestingly yesterday Maj Gen Asif Ghafoor Spokesperson Pakistan Armed Forces had denied that F-16s were part of the operations and even denied claims that one was shot down. HAL developed Light Utility Helicopter (LUH) after clearing major High altitude cold weather trials recently is now inching closer to Initial Operational Clearance (IOC) which company has predicted will be achieved later this year by September as per information provided to idrw.org. LUH already has cleared cold and Hot weather trials also but few more performance trials are still pending which company plans to achieve soon. India’s leading tyre maker MRF has confirmed at the ongoing Aero India 2019 that the company has developed wheel tyres for LCA-Tejas and Naval Mig-29K Carrier based fighter jets as per configuration provided to them and soon it will be ready to supply the first consignment once cleared for the production. Light Combat Helicopter (LCH) will be holding several demonstrations for Military attachments of foreign embassies in India at the upcoming Aero India 2019 who have previously shown interested in procurement of the attack helicopters after program recently achieved a major milestone last month when LCH was cleared of all weapon trials. DRDO will be showcasing scaled models of Medium Weight Fighter (Tejas Mk-2) and AMCA 5th generation fighter aircraft at its pavilion at the upcoming Aero India 2019 in Bangalore. MWF which is based on predecessor Tejas Mk1 design and will be showcased for the first time after it was upgraded from its initial concept to be now classified as a Medium-Class fighter jet. Modi government had planned for 148 Dassault Rafale ? Former Defence Secretary Mohan Kumar recently told media that once the purchase of 126 Dassault Rafale was stalled under UPA government, Modi government had to renegotiate the deal and it was decided to go for 148 aircraft from 126 jets to 148 aircraft through the initial deal was for 36 aircraft in a fly-away status. 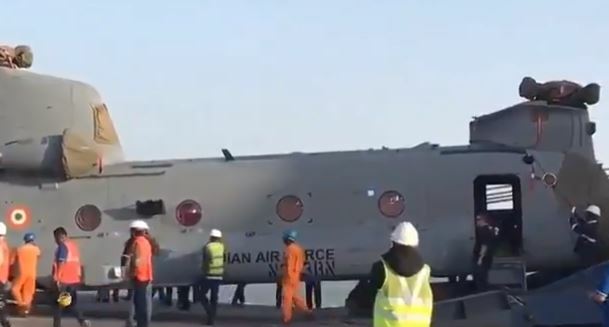 Boeing India has confirmed the arrival of the first batch of four Boeing CH-47F Chinook Helicopters for the Indian Air force at the Mudra Port in Gujrat and soon the helicopters will be assembled and will be ferried to Chandigarh airbase where it waits for formal induction into the airforce later in March. Royal Malaysian Air Force (RMAF) chief General Tan Sri Affendi Buang has confirmed that Request for Information (RFI) was issued last month to Hindustan Aeronautics Ltd, Pakistan Aeronautical Complex and Korea Aerospace Industries (KAI) for the supply of single-engined fighter jet under RMAF’s light combat aircraft (LCA) program.